Hello everyone, today we have another awesome game, have any of you heard of Pillars of Eternity 2? The game is pretty new, it came out on May 8 2018 and so far it has received ‘very positive’ reviews according to Steam. 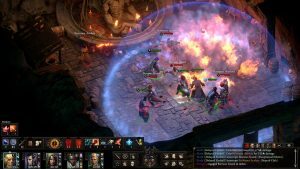 Pillars of Eternity 2: Deadfire, is an RPG (cRPG) game with actually great graphics. When I was trying out the demo a month or so ago, I didn’t expect the graphics to be this crisp for such a story rich game but somehow the developers of this game, Obsidian Entertainment really did a great job. The gameplay is also awesome and I am actually planning to play this game all day Sunday, I have saved some time to really get to know this game, I haven’t played it enough quiet yet. 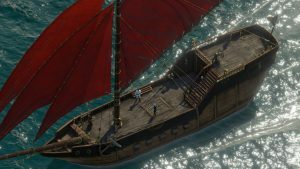 Let’s find out what else makes Pillars of Eternity II: Deadfire a must download if you love action packed RPG games with lots of upgradable character options and good graphics too. 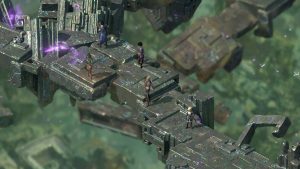 What Is Pillars of Eternity II: Deadfire About? 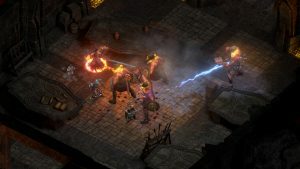 Pillars of Eternity II: Deadfire allows you to pursue a rogue god over land and sea. Captain your ship on a dangerous voyage of discovery across the vast unexplored archipelago region of the Deadfire. Bend the world to your will, as you explore the depths of infinite possibilities, including detailed character customization, total freedom of exploration, and more meaningful choices at every turn.